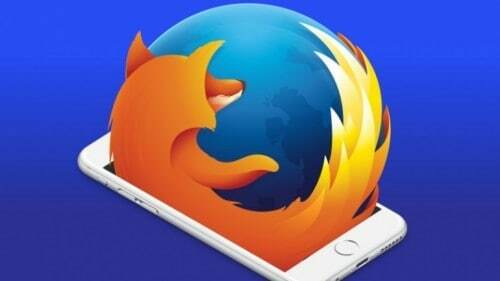 Mozilla has announced the latest version of Firefox Quantum 59 browser for users on desktop and Android. The newest update has got some interesting features including faster loading time and new settings in the preferences menu to stop websites from asking to send notifications or access your device’s camera, microphone, and location — an increasingly common irritation when browsing the web — while still allowing trusted websites to use these features. Firefox 59 has added many performance enhancement features to its browser. These include faster load times for content which the browser will achieve by loading it from networked cache or cache obtained directly from the user’s hard drive. Off-Main-Thread Painting (OMTP) is also being introduced for Mac to offer better graphics rendering. Firefox Screenshots include basic annotation and cropping that allow the user to draw on, highlight, or change the viewable area of screenshots. Apart from that, the update also enhances Real-Time Communication (RTC) capabilities, adds support for W3C specs, and blocks unknown websites from sending notifications. Firefox Private Browsing mode will remove path information from referrers with an aim to prevent cross-tracking. For the Android app, Firefox 59 adds support for Firefox as an assist app allowing users to start searching by pressing the home button on their smartphones. The app now also supports HLS or HTTP Live Streaming video playback and gets the same Firefox Private Browsing upgrades as the ones mentioned for the desktop. Users can also lock video full screen while in landscape mode. In addition to Firefox 59, Mozilla is giving Amazon Fire TV owners a new design later this week that lets them save their preferred websites by pinning them to the Firefox home screen. Firefox Quantum for Enterprise is also being tested for beta phase. The new version of Firefox 59 browser can be downloaded from here.